Auctioneers have gravitated to Proxibid, knowing they must go where the customers are. But that’s only a first step. The second, third and fourth steps are Facebook, Twitter and WordPress. In the 20th Century, auctioneers scheduled a session, advertised in the local newspaper and waited for bidders to show up. Advertising locally still is important, of course, if your house has developed a loyal onsite audience. However, you no longer can rely only on that audience to bring the best bids, which may be why you patronize (or are thinking about patronizing) Proxibid. Proxibid can dramatically expand the audience for coin consignments if you take advantage of its vast clientele base, software, search functions, business practices and customer service. You can gain an edge on your Proxibid competition not only by using social media but integrating it thoroughly in your onsite and online operations. Auctions are all about excitement. Isn’t that why you chose this profession? Just don’t “consign” excitement to the actual auction. Think about what makes you excited, and share that with your clientele using social media. You know how thrilled you are when consignors send you lots that might include key dates, such as an 1893-S Morgan dollar or high mint-state gold Saint-Gaudens Eagle. You know much you anticipate top-quality lots when traveling to meet a potential customer to represent his or her large estate. Social media will help share those thrills and drive interest in an upcoming auction. Chances are you or an employee or family member have a Facebook account. After all, 500 million active users do. Open up or enhance an existing account for your auction house. It’s worth the effort. Entrepreneurs and developers from more than 190 countries build with Facebook Platform. Every month, more than 250 million people engage with Facebook on external websites. More than 500 million active users. 50% of active users log on to Facebook in any given day. That last statistic often mirrors how many Proxibid clients typically attend your auctions online in real time. The more friends you enlist, the more buyers may attend your sessions in “live” mode. Twitter is a micro-blogging application. It incorporates interactivity and integration into what normally would be an email blast. Ask your Facebook friends to follow you on Twitter to get a first-hand look at upcoming lots, taking them with you to purchase consignments or sharing your excitement when you view specific lots for the first time. Better still, your tweets automatically upload to blogging applications like WordPress. Proxiblog uses WordPress because its functions are easy to learn and even easier to enhance via HTML (beyond the scope of this article). Upgrades allowing gigabytes of space (including video) are inexpensive but can enable you to post snippets of actual auctions on YouTube or your own Web site, adding another layer of excitement. A future Proxiblog post will discuss how to integrate YouTube into your operations. For now, we’re recommending that you not only open corporate accounts on Facebook, Twitter and WordPress, but also enhance your existing Websites with links to those social media. Social media supplements but doesn’t substitute for traditional advertising in hometown newspapers and broadcast media as well as magazines like Coin World, whose advertising base expands Proxibid’s reach. Excitement is your theme. Everything you post or send should convey that. Share why you became an auctioneer but don’t use social media to complain about late payments, charge-backs and fees. Integrate social media so that one complements the other. 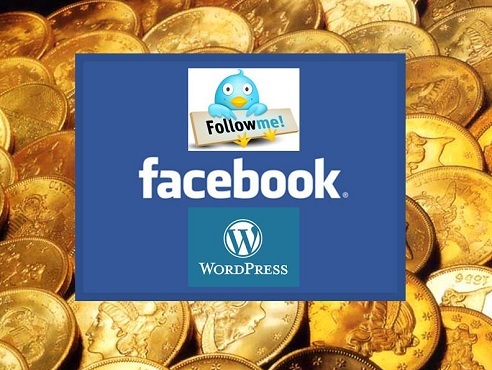 Facebook develops and retains clientele via the “Friends” function; Twitter communicates with that clientele, allowing snippets of interaction; and WordPress expands on all that while providing the platform for publicity and exposure to other applications, from YouTube to mobile media. Each of these applications share detailed instructional lessons to help you use and integrate software into your operations, providing that edge you will need in the future to secure top-quality consignments and competitive bidding. It’s 2011. If you’re reading this, that future has already arrived. This entry was posted in Articles, Best Practices, Featured Updates and tagged American Numismatic Association, Auctioneers, AuctionZip, Best Practices, Coin Auction, Coin World, Facebook, iCollector, National Auctioneer Association, Proxibid, Proxiblog, Twitter, WordPress, YouTube. Bookmark the permalink. ← Proxiblog Thanks Viewers For Success!